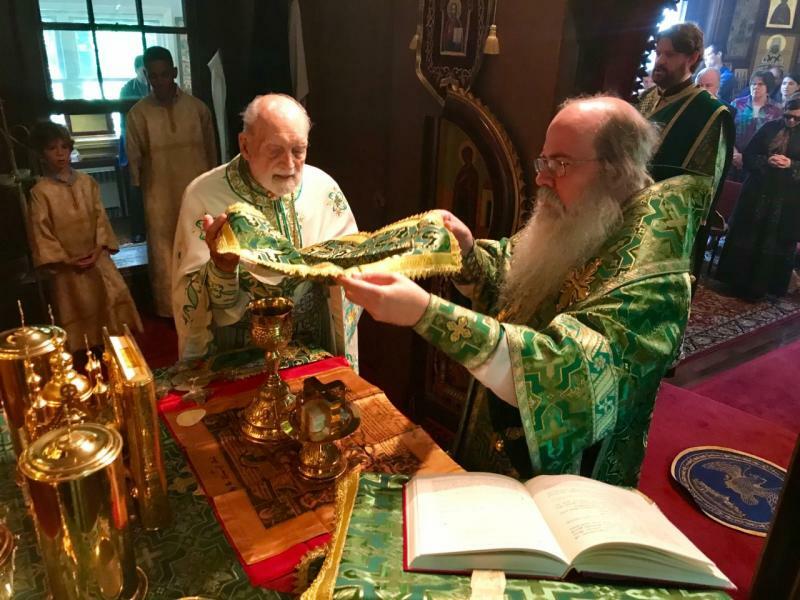 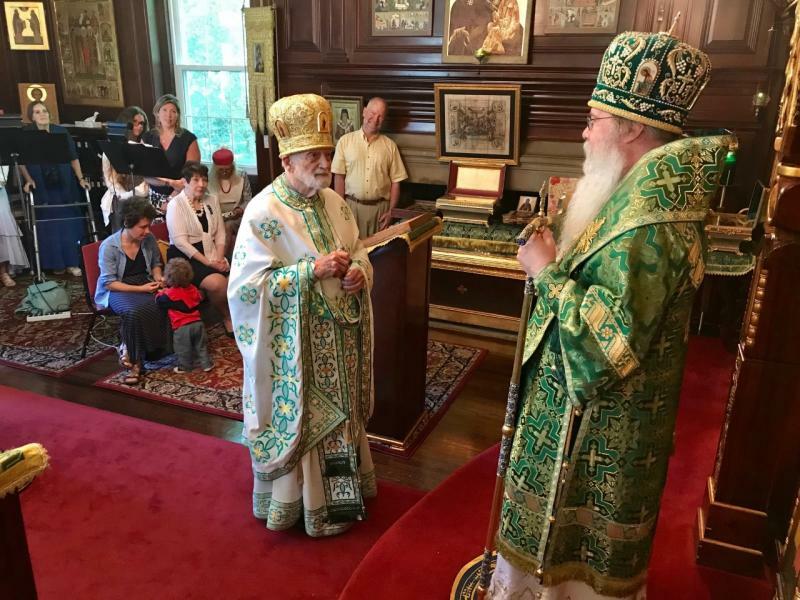 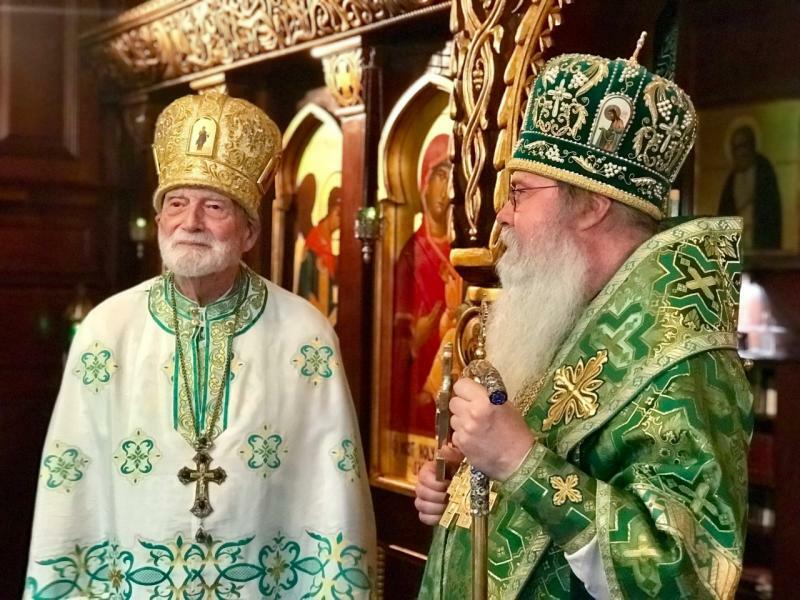 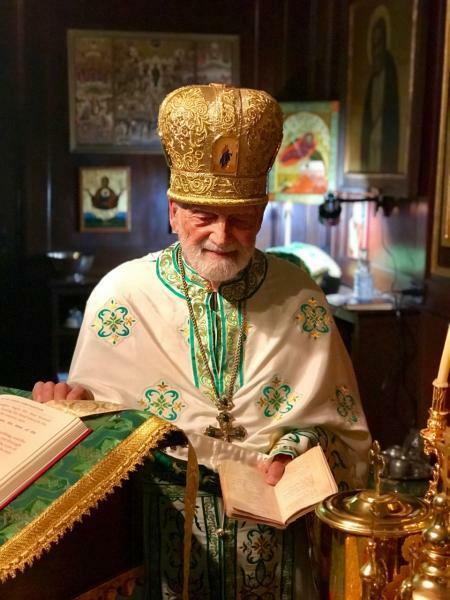 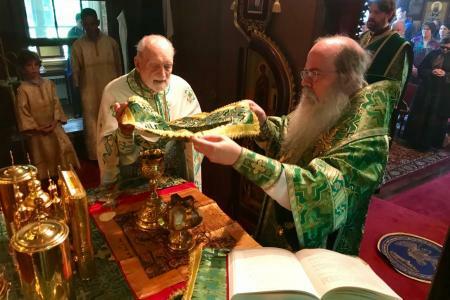 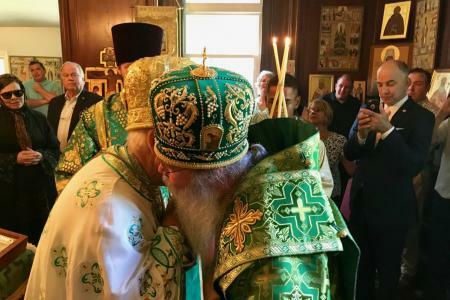 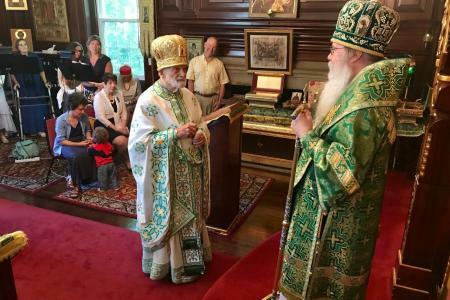 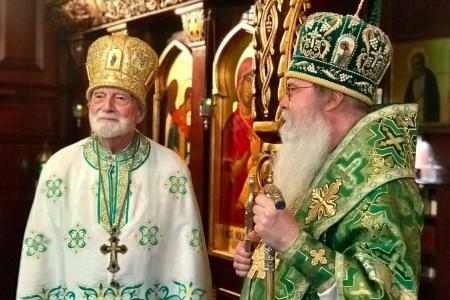 On Fathers’ Day—Sunday, June 17, 2018—His Beatitude, Metropolitan Tikhon presented a miter to Archpriest Basil Summer in recognition of his many years of ministry. 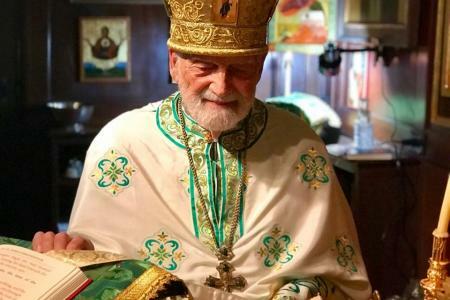 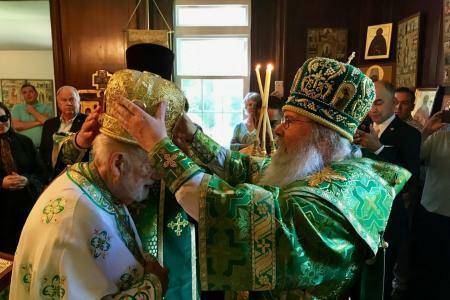 The decision to award the right to wear a miter to Father Basil was made by the Holy Synod of Bishops at its Spring Session in April 2018. 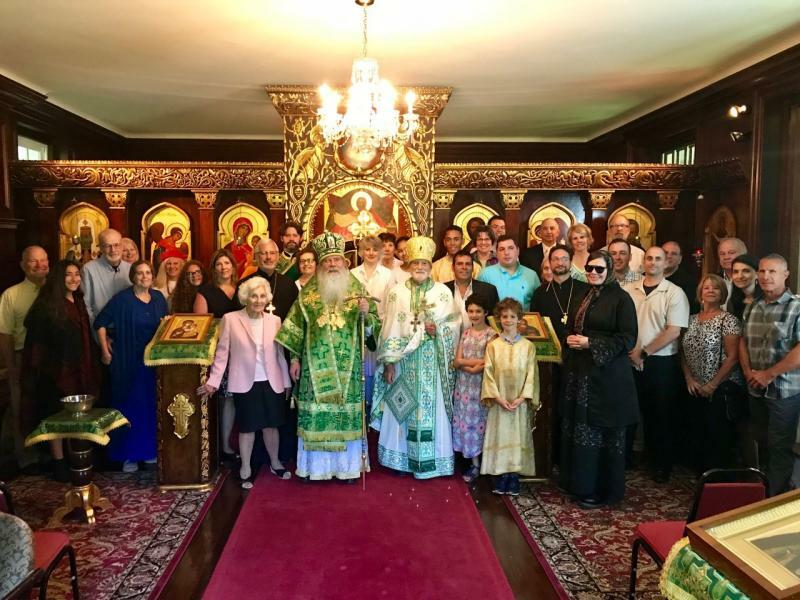 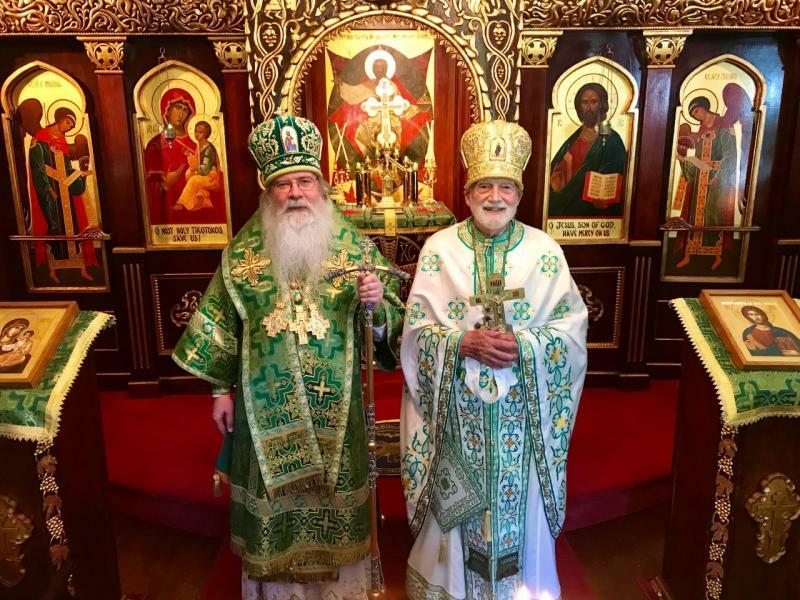 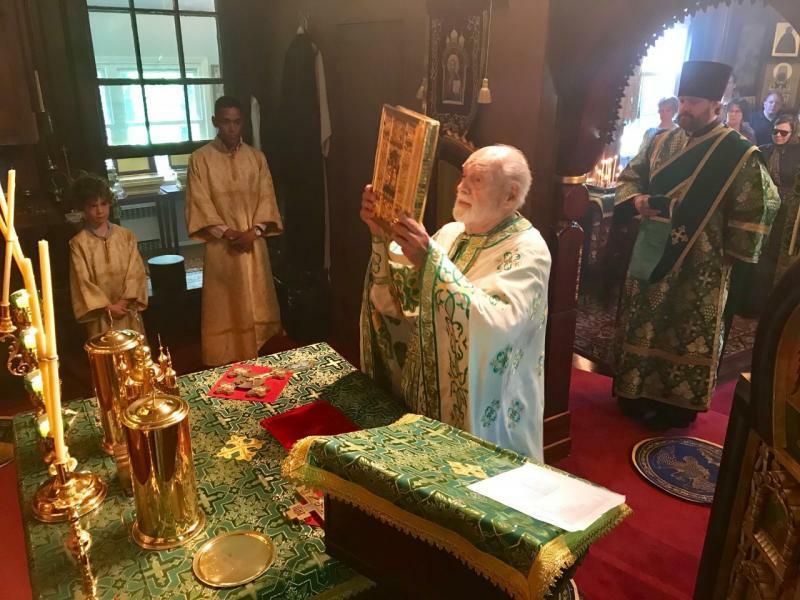 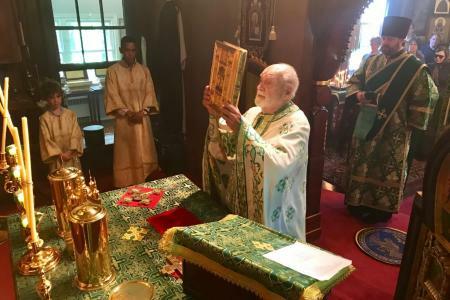 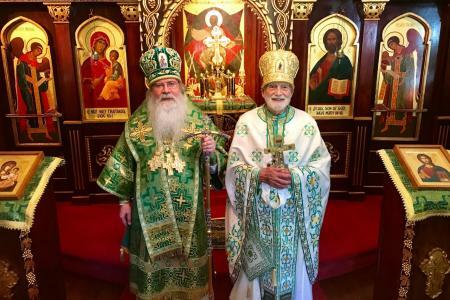 Father Basil concelebrated the Liturgy with Metropolitan Tikhon in the Chancery’s Saint Sergius of Radonezh Chapel, Syosset, NY. 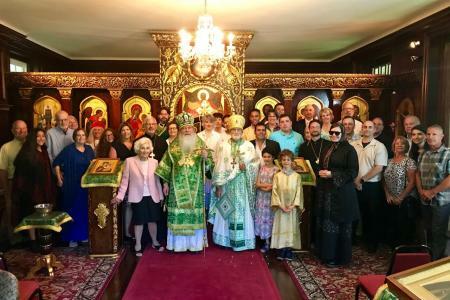 Also concelebrating was Archdeacon Joseph Matusiak. 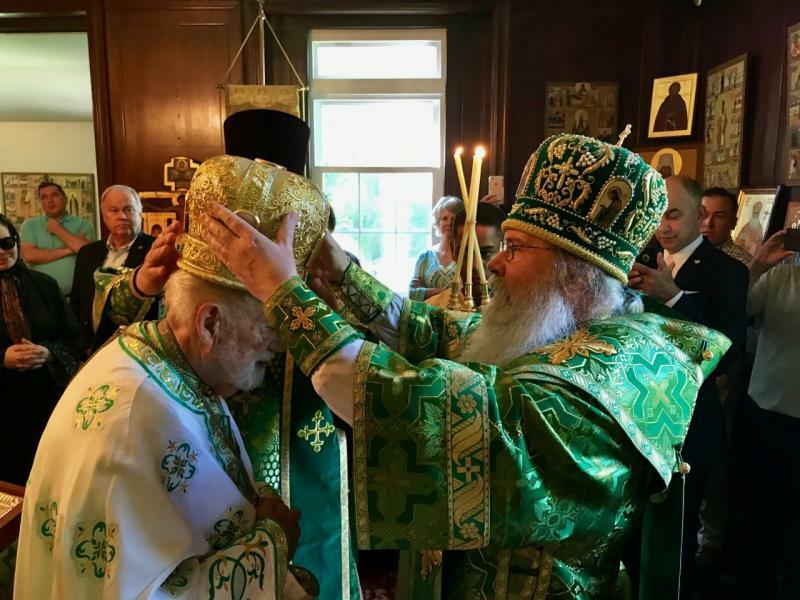 Many of Father Basil’s friends and former parishioners witnessed Metropolitan Tikhon place the miter on Father Basil’s head. 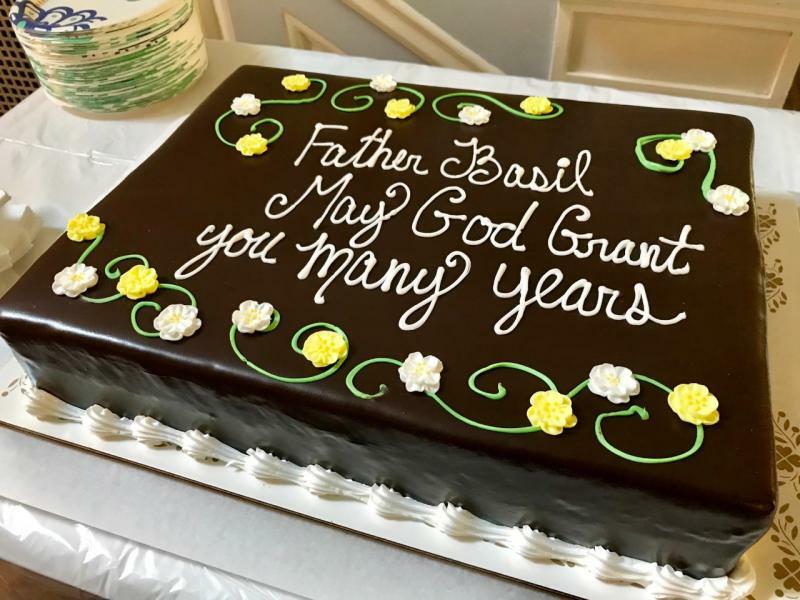 Prior to his retirement, Father Basil had served as Rector of Saint Mark Church, Bethesda, MD. 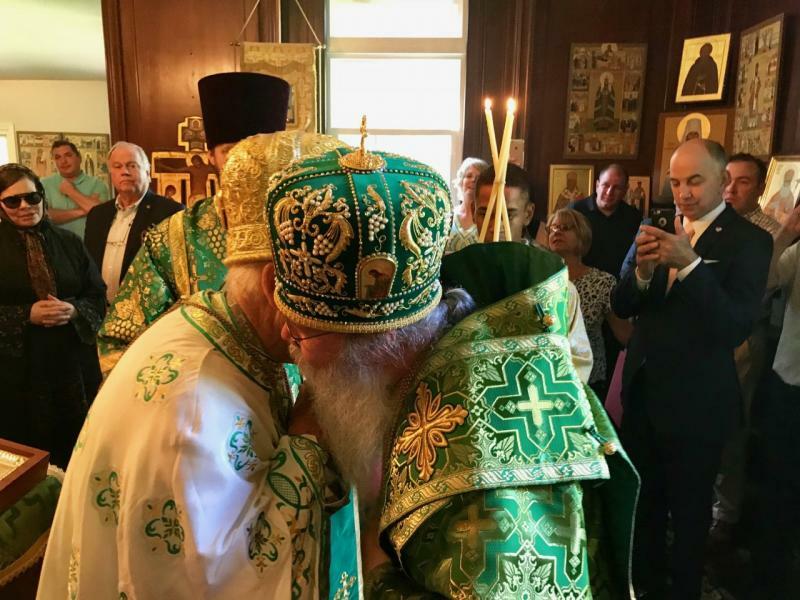 He then went on to assume duties at the Chancery as the Director of the Fellowship of Orthodox Stewards. 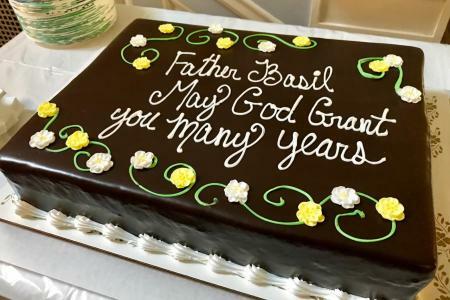 May God continue to grant Father Basil many years of witness and service to the Lord!